Summer feels like it has been in super-sonic-speed fast forward! I seriously can't believe that it's almost the end of July! Phew! I'm in the process of getting my Real Estate license, so that I can move out of the "assistant/transaction coordinator" world, and am completely overwhelmed at the thought of how much more I have left to do! I've really got to buckle down these next few months, and push through to get this done, so I apologize in advance if my blog posts are a little more sparse until then. I hate the thought of that, but between school and working full time, something's gotta give.. 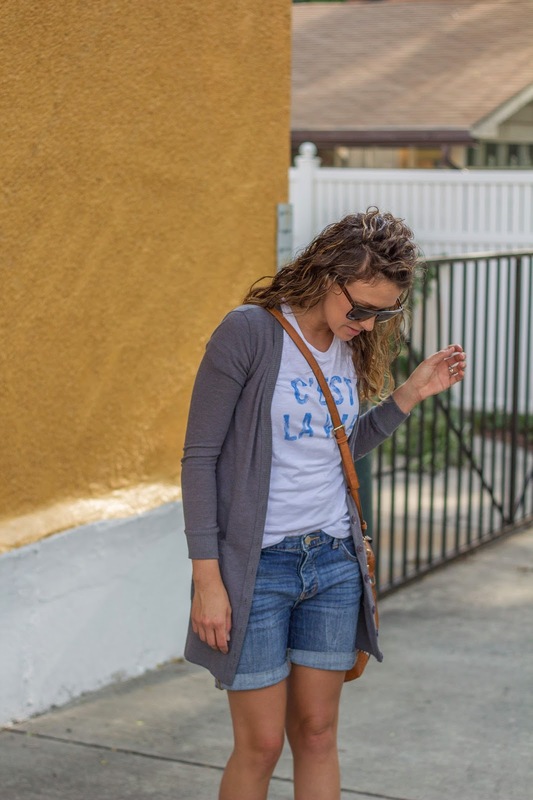 This is the perfect summer casual look! 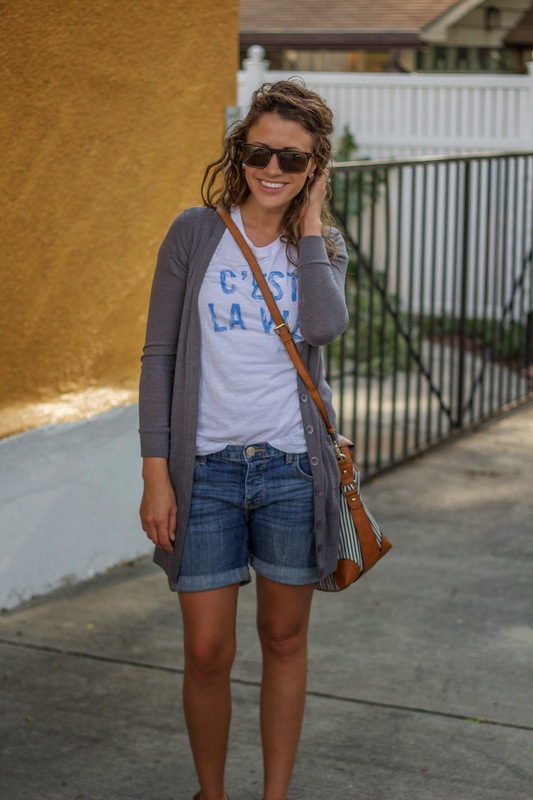 Love the boyfriend shorts paired with the wedge heels! Oh yes where is Summer going....wrote about that in my latest post. :-( Love those shorts.....the length & roll up style is so cute!!! Good luck with the real estate license! Good for you girl :) Lovely look you have going on. Loving the shoes and bag!! Ahh good luck with your real estate license, how exciting! And I absolutely love this outfit, the shorts are so cute and classy. SO cute. I want that tee shirt. And the bag. You know what, I'll just take it all, thanks. Good luck with getting your real estate license! That sounds exciting and intimidating all at the same time! 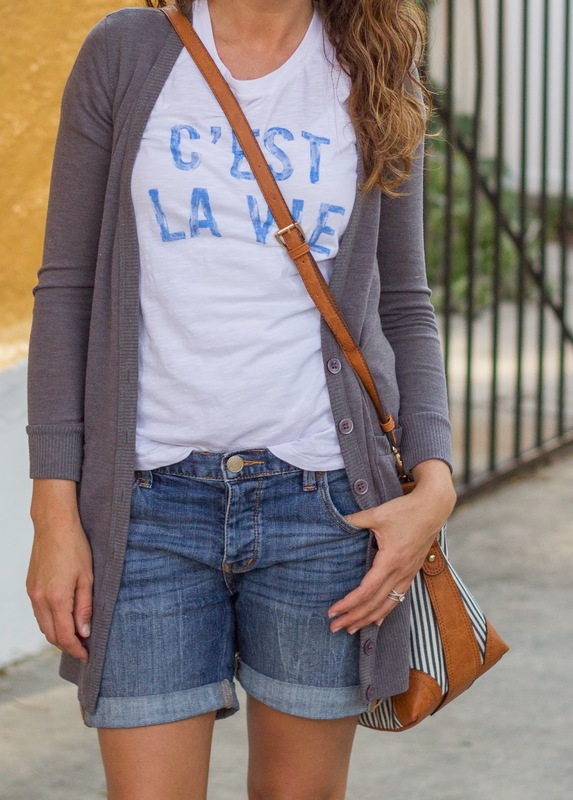 Love this easy going look and those shoes are fab! Despite all the business - you still look fabulous! Goodluck with finishing school! 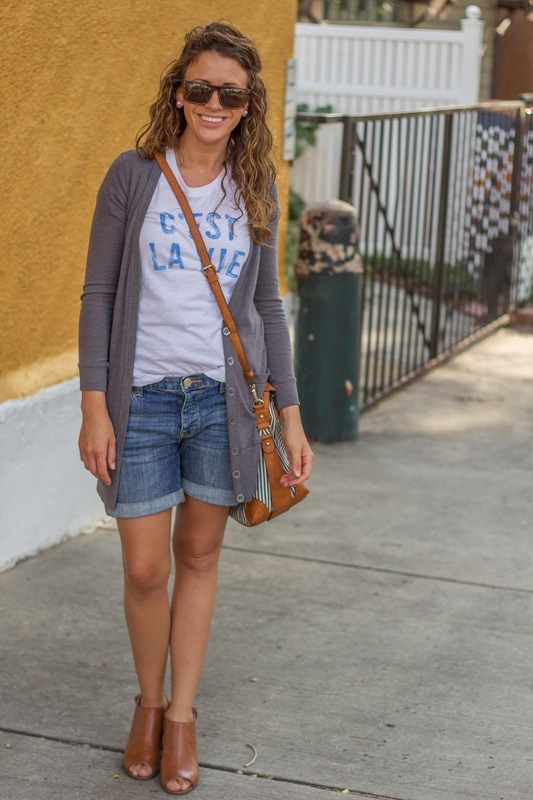 Those shorts are lovely - it's really hard to find longer but flattering shorts in the UK! Digging that whole look and really good luck for all you have coming up over the summer! You've got a lot on your plate, but it all sounds like it will be for great things in your future! I've probably commented on this bag before but I just absolutely adore it!